Perfect costume for Oktoberfest parties and any dress-up parties! 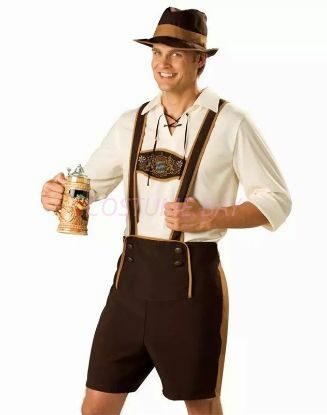 This Bavarian Guy Oktoberfest Costume includes pullover shirt with lace-up collar, Lederhosen with elastic waistband and matching hat. Perfect costume for Oktoberfest parties and any dress-up parties! 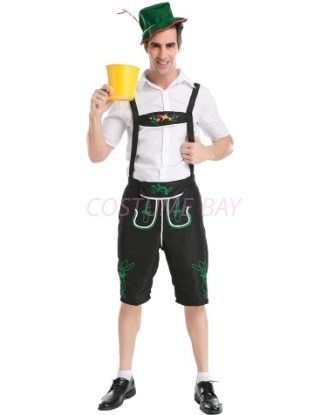 This Bavarian Guy Oktoberfest Costume includes pullover shirt pullover shirt with lederhosen short.